Is My Roof Suitable for a Roof Window? If you’re looking for extra space in your home, extending up rather than out might be the best solution for you. A loft conversion can provide the same additional quality living space as an extension – at a fraction of the cost. Think about it, your loft has almost the same available floor space as the entire top floor of your house, it has the potential to become liveable - and unlike a conventional extension, your home won’t lose any valuable outside space. However, before you start choosing between a roof window or a dormer roof there’s a couple of questions you’re probably thinking. Is your roof suitable for a roof window? So to help, here is our easy guide to loft conversions and roof windows. First of all, an obvious point. In order to convert your loft into a liveable space you need enough head height and floor space. Consider how much height and floor space you’ll have after installing stairs, insulation, plasterboards and all your furniture and fittings. Plus, you’ll be losing space on the floor below for stairs too. Roof windows or a dormer? Can I have a roof window? 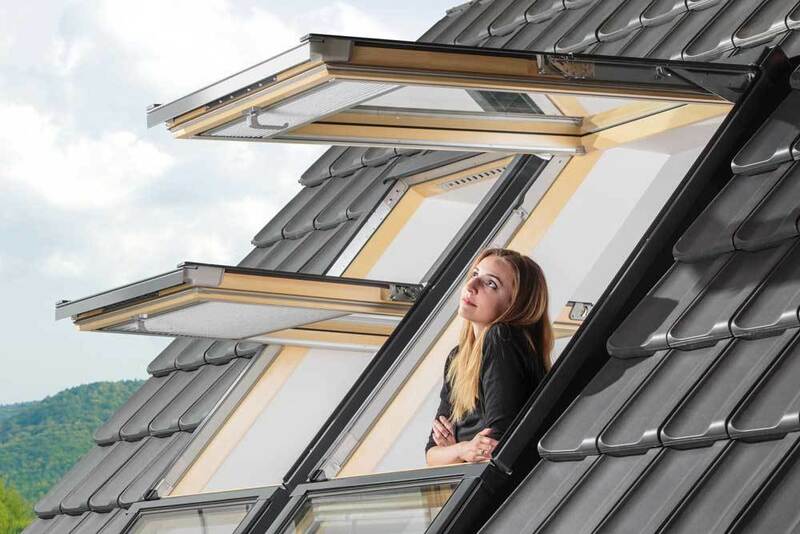 When deciding on the location of roof windows in the roof surface you should consider an important principle - better illumination is achieved by installing several windows in various parts of the roof than by fitting one large window. How to choose the right roof windows for you. 1. Intended use and height of the room. Wet rooms and rooms that experience higher levels of moisture (such as bathrooms and kitchens) you may wish to choose a PVC roof window – for example the FAKRO PTP-V Centre Pivot Roof Window or PPP-V preSelect / Top Hung Roof Window, which can be fitted with obscure glass. 2. The pitch of the roof. Height of the chosen window also depends on the roof pitch. The lower the pitch of the roof, the greater the height of the window should be. Roof pitch between 2° and 15° - a ‘flat roof window’ is suitable. Note a ‘flat roof’ is rarely 0° flat, to enable water run-off when domed. Note – for a pitch above 90° a ‘vertical’ window becomes suitable. Expert advice should always be sought before installation and you should seek the advice of your local planning officer. FAKRO GB can also help, with a wealth of information available on both fakro.co.uk and here on roofwindows4you.co.uk. And don't forget RoofWindows4You are available to chat online (see below) or by calling 0333 600 9090. What is the Difference between a roof window and a Dormer?